Toshiyuki Shiga: "I want to help create a Japanese version of Elon Musk." TOKYO (Bloomberg) -- Toshiyuki Shiga is on a $10 billion quest to discover Japan’s top entrepreneurs, who can start companies as globally competitive as Tesla Motors Co. and Apple Inc. 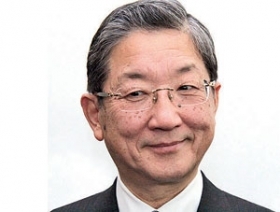 The vice chairman and former COO of Nissan Motor Co. described the search as an urgent mission for Innovation Network Corp. of Japan, the state-backed investment fund he took over as chairman in June. Musk has built a reputation as an innovator and entrepreneur, first as a co-founder of digital-payments provider PayPal and then as leader of Tesla, the maker of electronic sports cars. The 44-year-old also leads rocket maker Space Exploration Technologies Corp. and energy company SolarCity Corp.
Shiga has about $10 billion left from the 2 trillion yen ($16.8 billion) set by the economy ministry as the fund’s total capacity. INCJ has agreed to invest about 800 billion yen in 92 deals so far. Among those, 70 are with startup or early-stage companies. The funds biggest stakes are in Japan Display Inc. and Renesas Electronics Corp., display and chip manufacturers it helped rescue. Abe has joined the calls for more support for entrepreneurs as part of a broader effort to move past two decades of stagnant growth and deflation. Investment by Japanese venture capitalists totaled 143 billion yen, or about $1.2 billion, in 2014, dwarfed by about $48 billion spent by their U.S. counterparts, data from the Japan Venture Enterprise Center and the U.S. National Venture Capital Association show. Japan has struggled to replicate Silicon Valley’s success as a hub of innovation. Shiga joined Nissan in 1976 after graduating the Osaka Prefecture University. Shiga became Nissan vice chairman in 2013 and has kept the position as he leads INCJ. The government holds a 95 percent stake in INCJ, while 26 Japanese companies including Toyota Motor Corp., Canon Inc., Takeda Pharmaceutical Co. and Panasonic Corp. own the rest.